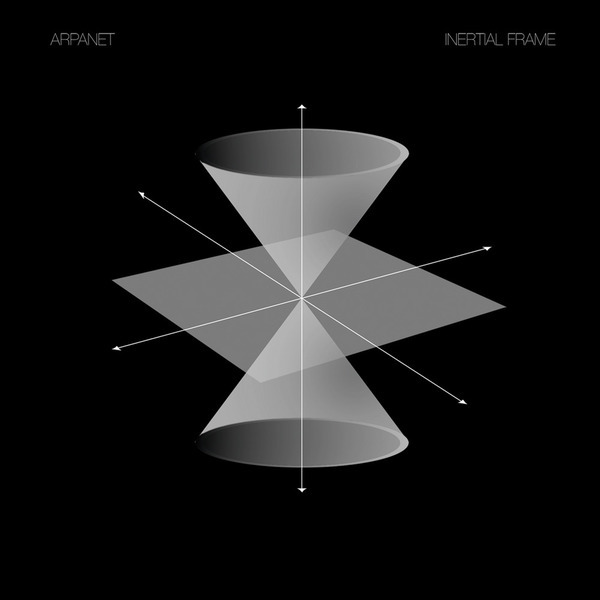 Arpanet's "Inertial Frame" reveals a much more rhythmic dimension to what we already know from Arpanet and their (rare) live performances. Starting off with a laconic arpeggio overlooking cold synthesizer waves and chords, a distorted and ill fitted Germanic voice lands from nowhere reminding you why you love them so much. Chiselled electro beats à la Drexcyia eventually intervene and call for a dark and gloomy souvenir of Tangerine Dream meets Kraftwerk and J Carpenter in a futuristic goth melodrama. For Drexciya heads - get on this quick. KILLER!